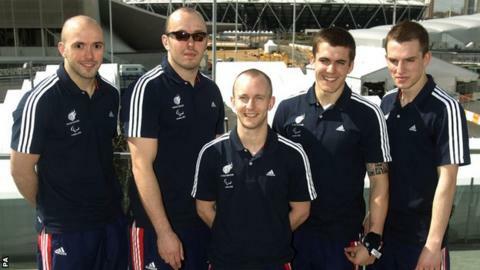 Three sets of brothers have been named in the latest 20 athletes selected for the ParalympicsGB team for London 2012. Beijing bronze medallist Sam Ingram and brother Joe join Dan and Marc Powell in the judo team, while Stephen and Peter McGuire make the boccia squad. The powerlifting team includes world record holder Anthony Peddle, who will compete at his seventh Paralympics. "I am delighted to welcome these athletes to ParalympicsGB," said chef de mission Craig Hunter. "It is the culmination of hard work and dedication on their part. "From ParalympicsGB's perspective the selection of many of these athletes is also testament to the success of BPA programmes such as our annual simulation preparation camp, our Paralympic Potential days and our Talent Transition Programme over the last four years. "I am particularly excited because today's selection of athletes means that we have now selected almost a third of ParalympicsGB for London, so it really feels like the team is starting to come together." Wednesday's announcement takes the number of athletes selected for London 2012 to 80. Judo: Sam Ingram, Joe Ingram, Dan Powell, Marc Powell, Ben Quilter. Powerlifting: Natalie Blake, Paul Efayena, Jason Irving, Ali Jawad, Zoe Newson, Anthony Peddle.